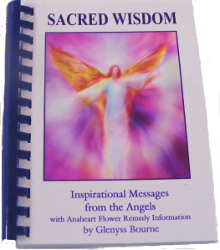 This video was produced with Divine Guidance, to help to relax and heal the Body, Mind and Spirit. Sit quietly, take three deep releasing breaths and start the video. 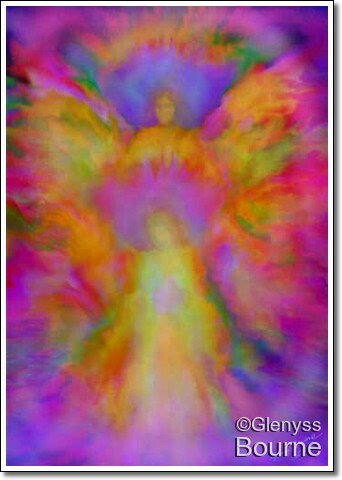 It will help to trigger remembrance of yourself as Spirit; and effortlessly take you to a place of peace and healing. Sit quietly for a few minutes to allow deep healing to take effect. The ancient Sanscrit mantra Om Namah Shivaya is one that everybody can use to raise their vibration and to increase their healing abilities. I can be repeated silently in meditation or anytime in your everyday life to enhance wellbeing. 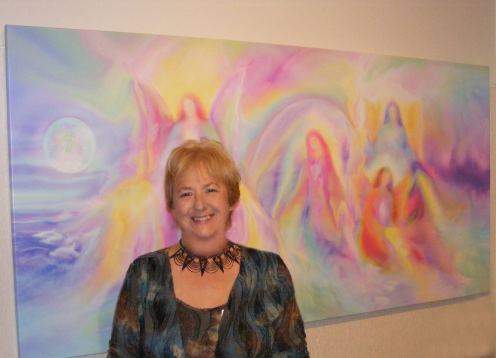 Angel Paintings and Mantra cd's with six different mantras are available from the Anaheart website.